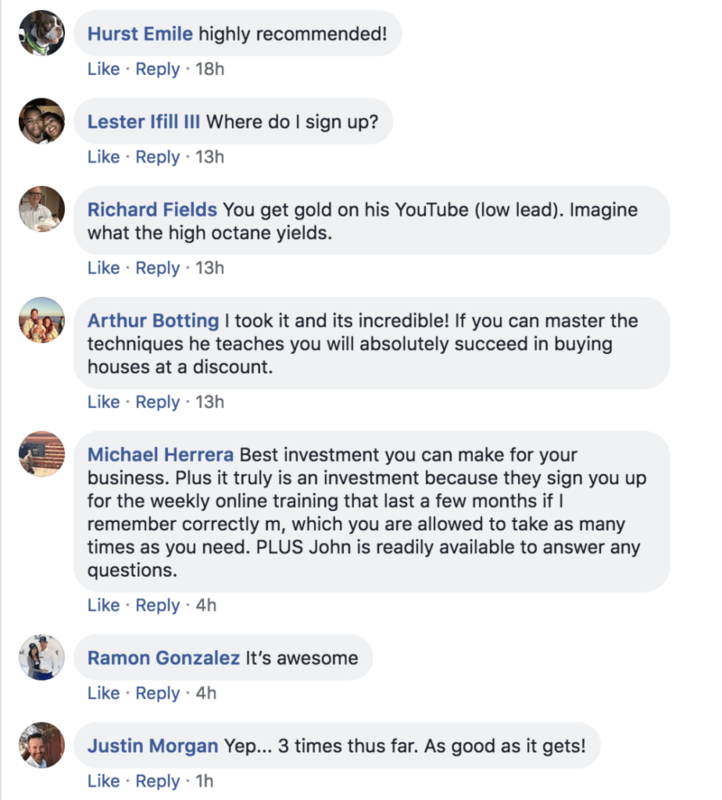 This Course Will Give You A PROVEN, Documented Sales Process for Buying More Houses WITHOUT Gimmicks Or Having To Do A Lot Of “Convincing”. 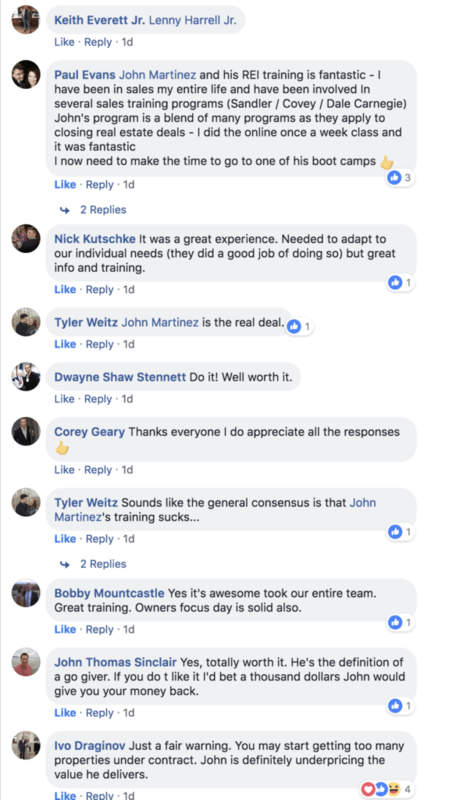 You'll quickly learn a comprehensive, step-by-step sales process that is unlike ANY sales training you’ve ever experienced, because it STARTS with how you position yourself from the beginning, and uses a straightforward, direct and non-manipulative approach to helping clients. An REI Sales Playbook you can instantly start using when you get home. A scripted process for handling inbound calls/leads so you NEVER lose a critical opportunity (this is a process you can give to the person in your office who’s handling those calls). How to COMPLETELY ELIMINATE the price objection from ever coming up when closing a sale. A checklist (and examples) of what you should say to EVERY prospect BEFORE your initial sales meeting to position yourself as a credible, trustworthy expert. 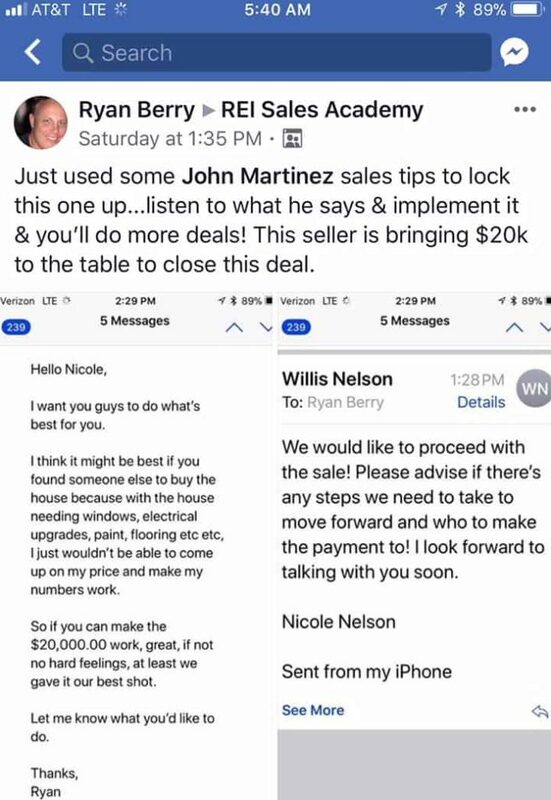 My most powerful method for getting any prospect to tell you exactly how to close them; and the ONLY closing technique and script you’ll ever need. How to elegantly uncover the truth about hidden concerns and objections that can derail your sale. How to deal with the “We’re fine” sales objection and get your prospect motivated to take action. 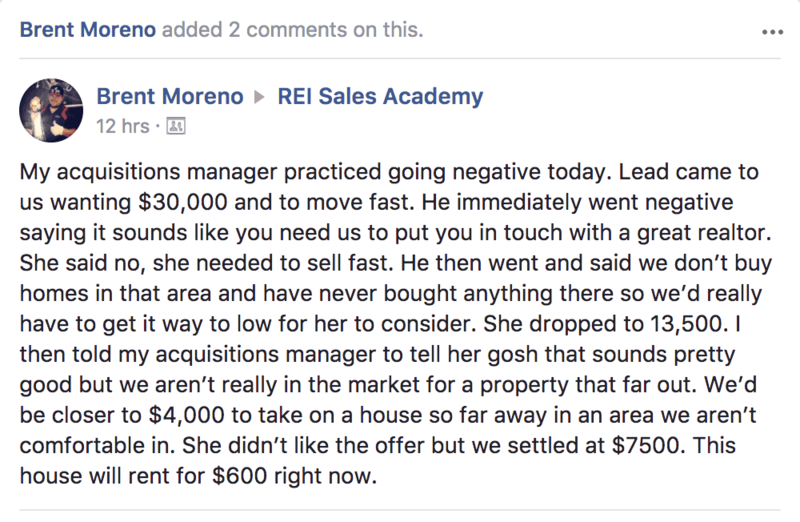 How to turn tire kickers into motivated sellers. 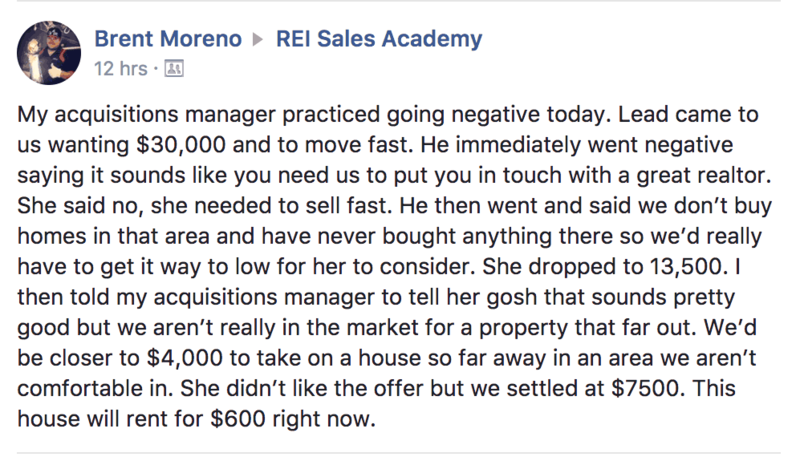 The secret to buying for less while competing against "higher offers". 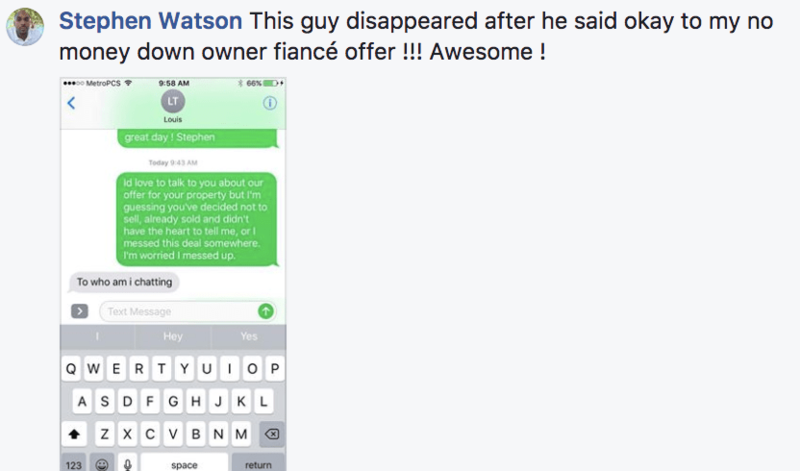 The CORRECT way to deliver an offer so you don’t get ignored, price-shopped or lied to. Scripts and Processes: For appointment setting, pre-selling, qualifying, diagnosing and getting them to sign the contract. If you qualify, and want more information, follow the link below. You'll be taken to a short questionnaire. My team will pick it up from there and answer any questions you may have. PLEASE COMPLETE THIS SHORT APPLICATION. We’ll make a list of everything that’s not working… like getting too many “maybes” and “think it overs”, feeling forced to compete against other offers, dealing with hesitant or reluctant sellers, etc. Then we’ll put together a rock-solid plan to eliminate all of those sales frustrations one-by-one. 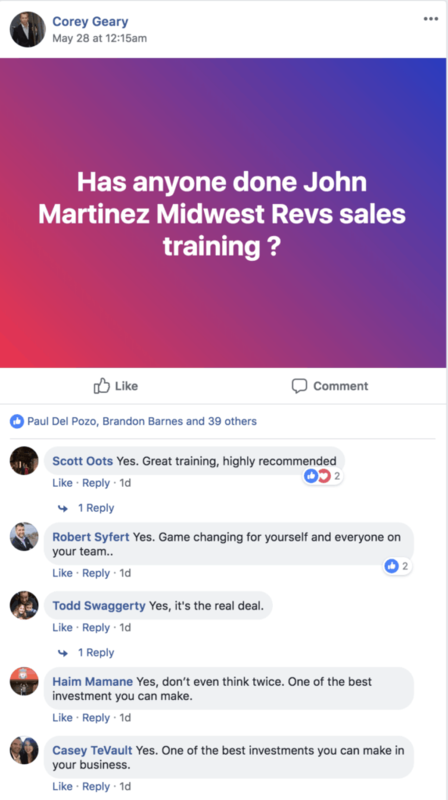 So that you’re able to make instant progress, I’ll show you the outline to a perfect REI sales call and even give you the exact scripting to use as training wheels so you can implement immediately and get some quick wins. 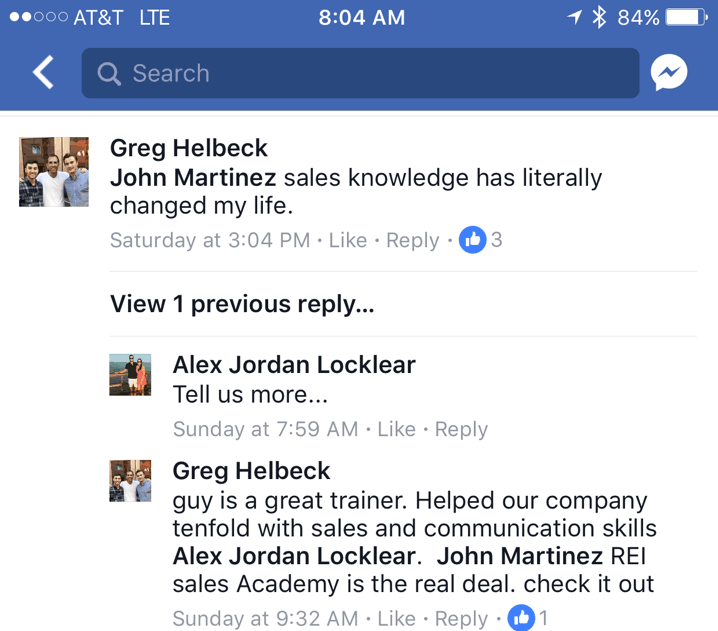 The best REI salespeople in the country have very open and honest conversations with sellers… real and authentic. 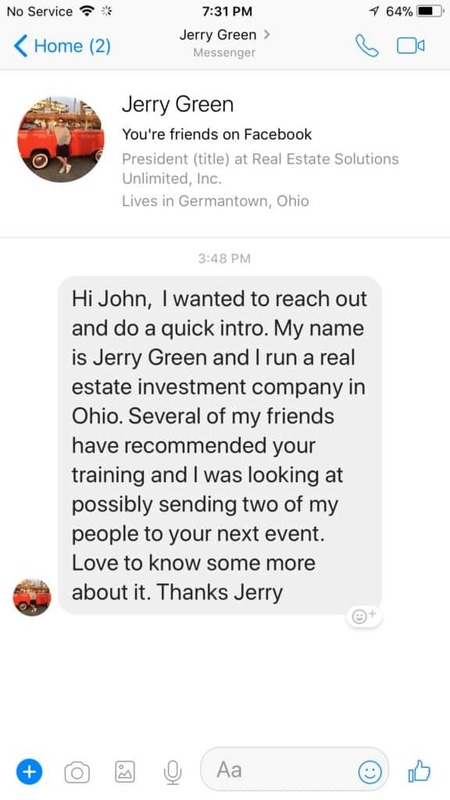 I’ll show you how to remove the sales pressure and anxiety that prevent that type of conversation within the first 30 seconds of any interaction. We all know that motivated sellers are our target clientele. 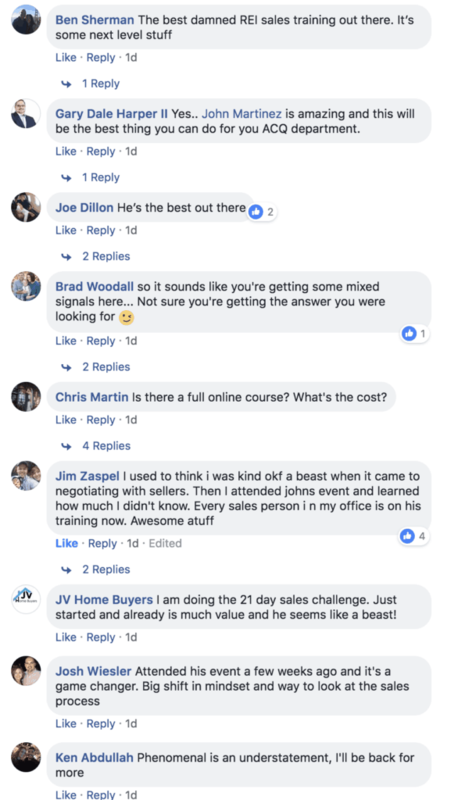 I’ll show you how to use a simple questioning strategy to take any tiny bit of motivation that exists in a seller and turn it into a tremendous sense of urgency to take action… sometimes you’ll even feel like you’re taking non-motivated sellers and turning them into motivated sellers in under 10 minutes. 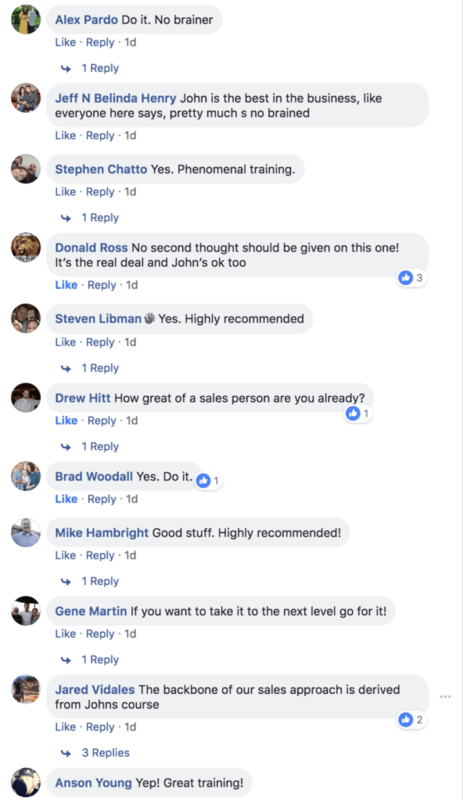 Let’s face it, none of this works if your sellers refuse to talk to you, are hostile towards you, give only one word answers… I’ll show you how to remove any resistance, big or small, without having to do anything weird, uncomfortable or sales-ey. 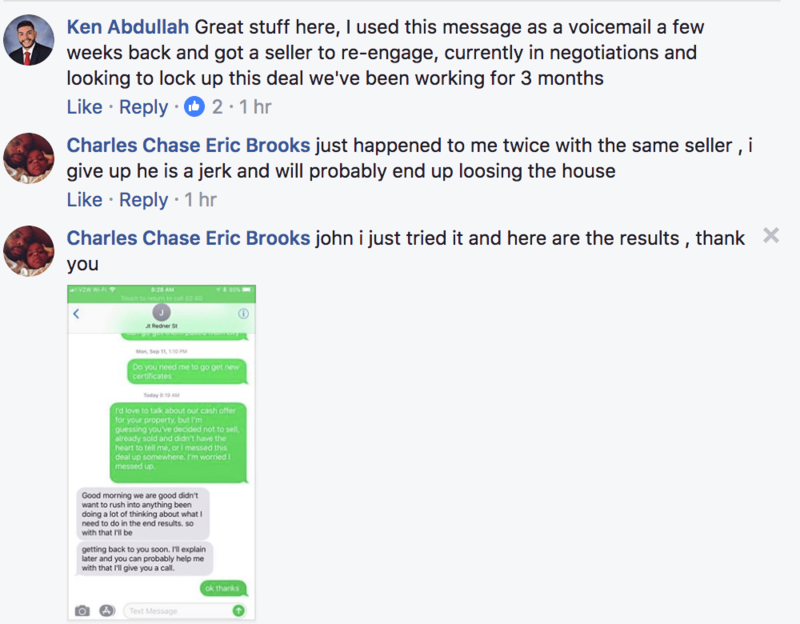 No matter how much motivation a seller has, sometimes things still get in the way and keep them from doing a deal. 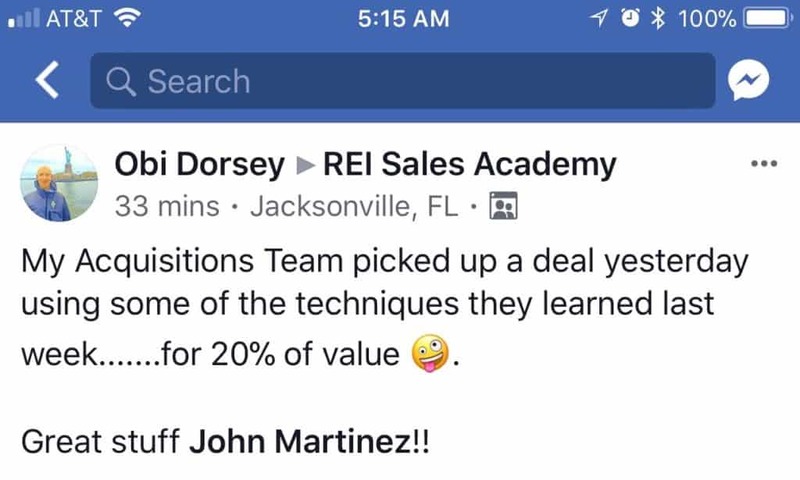 We all know this because we’ve walked away from sales calls with super motivated sellers… and no contract. We’ll talk about how to quickly uncover anything that might get in the way of a deal, and how to move past it. 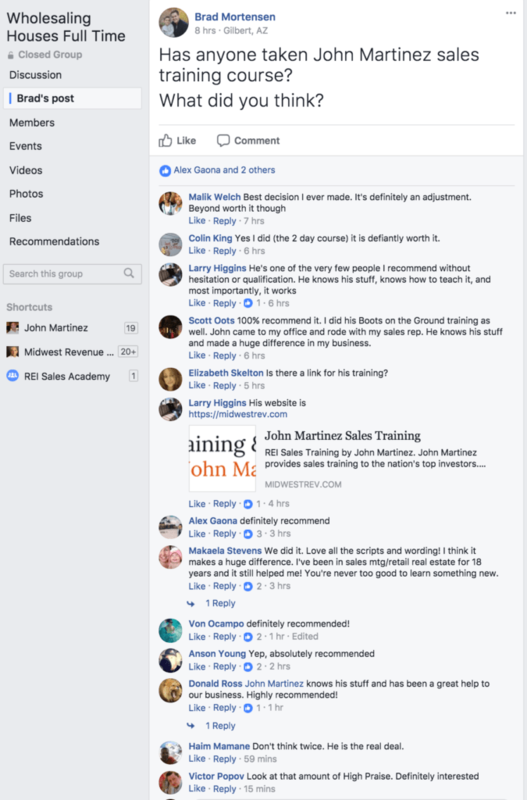 You need to know how to make your offer seem like it’s customized and perfect for each seller… like your offer and seller are a match made in heaven… just through the way you present it. The right presentation will allow you to win deals even when you don’t have the highest offer. Negotiating is not a power move, it’s all about eliminating the fears that keep sellers from accepting your offer… the fear of leaving money on the table, of making a wrong decision, of being taken advantage of… You’ll learn four super simple and highly effective tactics to negotiate like a pro. Practice makes perfect. We dedicated some time to run through common sales scenarios and give guidance on real deals that you’re actually working on. Qualification for the Sales Academy is simple. I can't (and won't) work with just anyone. 1. 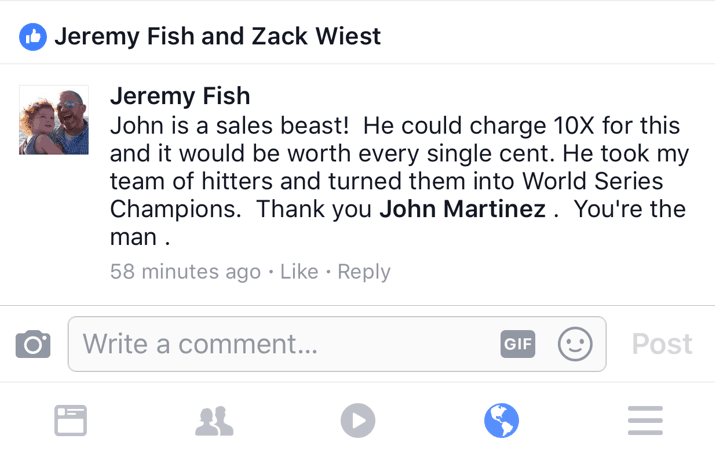 You have to have a solid business already. This offer is for people who are up and running already and simply want to run a lot faster and a lot farther. This is NOT for start-ups or brand new businesses. 2. You have to be willing to hold yourself accountable. If you’re not willing to hold yourself and your team accountable, no training of any kind will work...ever. 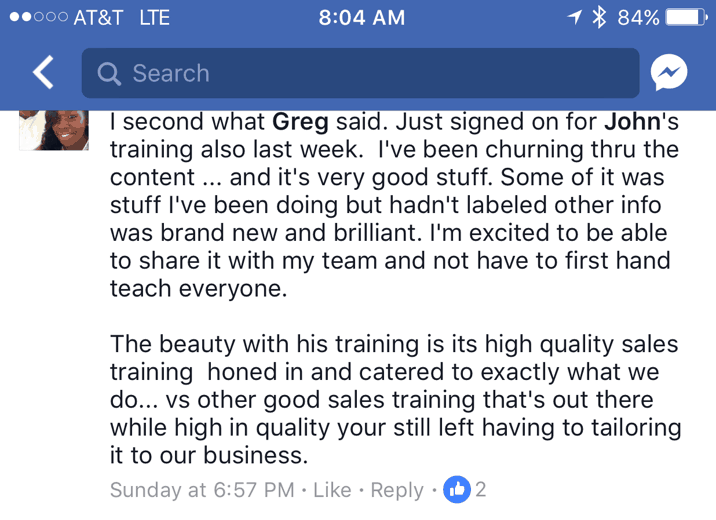 As long as you have actual sales opportunities or leads coming in, and you’re not a massive excuse maker, I'd be delighted to help you.